Corn oil is part of the ceramides family written about in an earlier article Using Ceramides in Natural Oils for Moisturised & Healthy Hair. 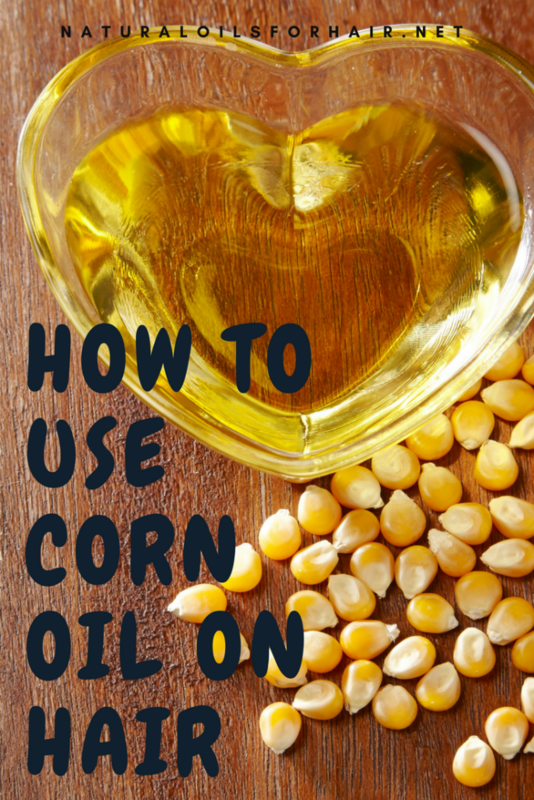 Corn oil has a concentration of 59% ceramides but is it safe to use on hair? Corn oil aka maize oil is expeller pressed from the germ of corn. It undergoes additional processes using hexane or 2-methylpentane (isohexane), degumming and deodorization, which can eliminate a lot of its goodness in the process. Refined corn oil is a golden yellow color while unrefined corn oil is a darker color and has a richer corn taste. Corn oil is cheap and economical filler for products. Corn oil is rich in unsaturated fatty acids omega-6 linoleic essential fatty acids, omega-9 oleic fatty acids, and omega-3 alpha-linolenic fats. Corn oil also contains vitamins K and E and is rich in phytosterols, which is helpful for scalp damage. Corn oil locks moisture in the hair preventing dryness and dry ends. 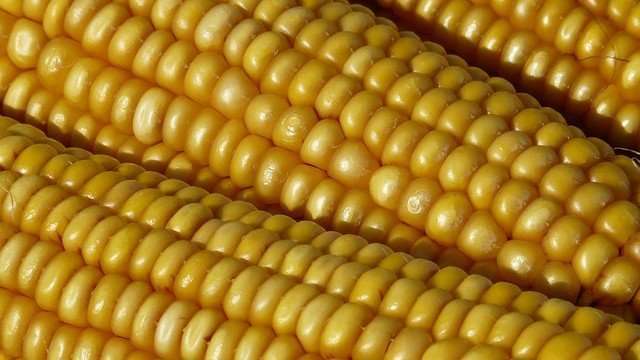 The presence of Vitamin K in corn oil helps prevent hair loss. Vitamin E helps improve blood circulation and fight free radicals. 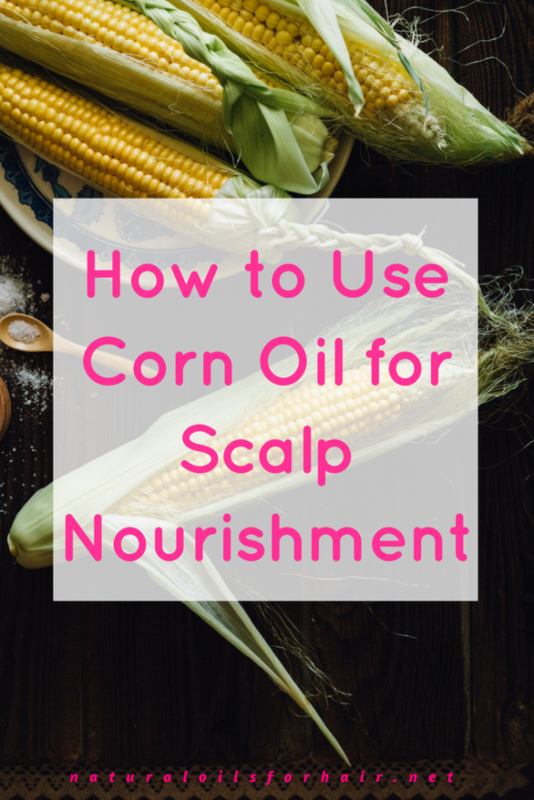 Corn oil also nourishes the scalp fostering a healthier environment for hair growth. It has a high heating point, which makes it suitable for heat styling. So is corn oil safe for use? The available literature indicates it’s not safe for consumption unless balanced out with additional dietary supplements of omega 3. However, when it comes to hair, the answer is yes provided unrefined, 100% expeller pressed corn oil is used. It’s more expensive but definitely a better option. Expeller pressed oil is oil that is extracted via mechanical extraction. While this method creates high temperature as well, it is still better than corn oil extracted via hexane or other harmful methods. Mix 1 – 2 tablespoons of corn oil with your shampoo before washing your hair. When you apply it, concentrate on smoothing it down the length of your hair, leave in for 5 minutes then wash out. The corn oil should be added only to the shampoo you’re using for the session. Don’t mix it in with your entire bottle. Heat up 6 – 7 tablespoons of corn oil, then apply to hair and scalp, giving yourself a good massage, before going to bed. Cover with a shower cap and scarf and leave in overnight. Wash out with a mild shampoo the next morning. You can by non-GMO expeller pressed corn oil HERE. If you want to know more about the kind of oils that are safe for cooking, have a look at the cooking with oils section. How to Grow Hair Healthy and Long with Natural Oils is a guide which goes in-depth into which specific oil (s) works for each hair issues for optimal length and health. Do this come in a sample or trial size? It doesn’t usually come in a sample size but you can get an average sized bottle here – https://amzn.to/2rEMTrJ.